Self-adhesive dual curing resin cement. Secure cementing does not depend on the number of working steps. Self-adhesive SoloCem achieves reliable values – with no additional bonding. This is the result of monomers contained and the composite-like formulation. 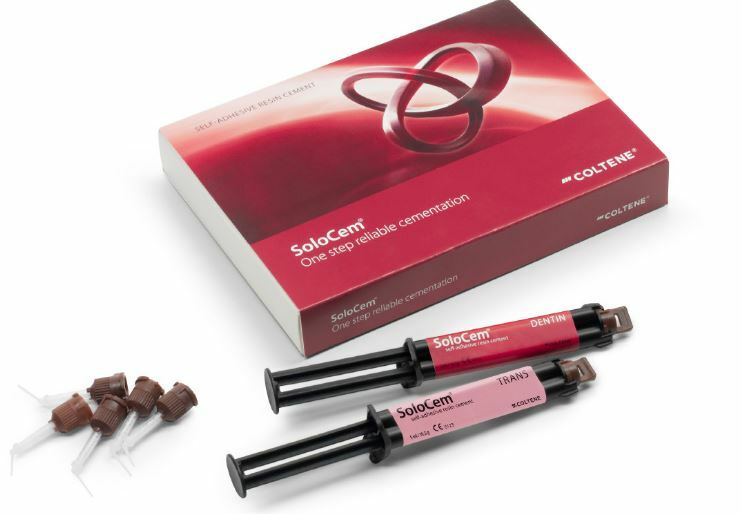 The convenient automix syringe and the ready-to-use mixing tips offer a simple and time-saving application of SoloCem.